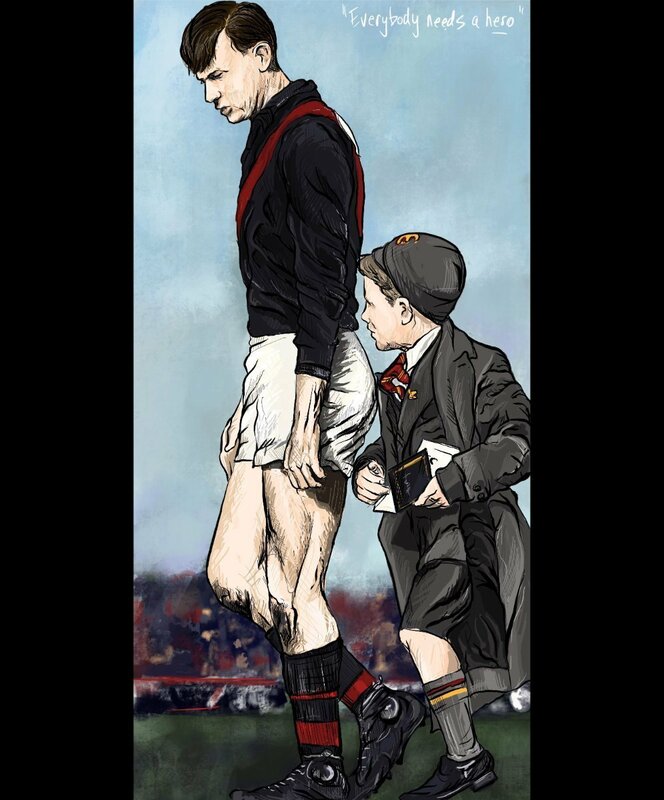 My drawing of John Coleman with his young fan at a 1950s suburban VFL ground. Sublime talent and matinee idol looks, Coleman took the game by storm, kicking twelve goals in his first game and a century of goals in his debut season. He retired 537 goals and 98 games later when a serious knee injury curtailed his playing career. The leading goalkicker in the AFL is awarded the Coleman medal.